We don’t want you to work. We want you to lead the way. We want you to create a legacy. JOIN THE TEAM! 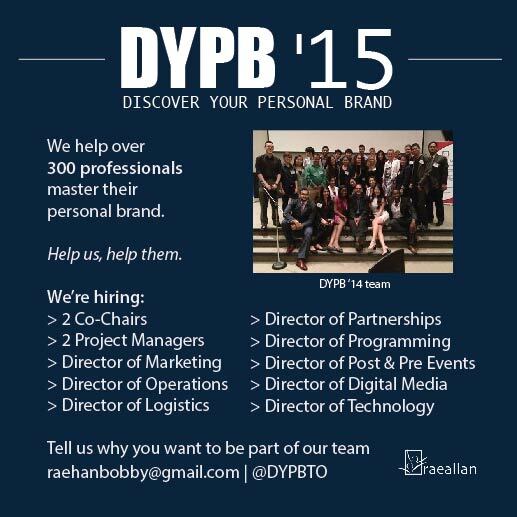 DYPB – Discover Your Personal Brand conference in Toronto is recruiting for a full-scale leadership team to continue building the event and a sustainable plan in 2015. In 2013, we had 120 people, last year we had over 300 people and now we want to make it even bigger. We are looking for passionate individuals who want to build incredible skills, gain solid mentorship, collaborate and network with leaders and organizations in Toronto. It’s an amazing opportunity for the right people and very high profile right in the downtown core of the vibrant city of Toronto. Visit the website http://raeallan.com/dypbteam for Detailed Role Descriptions. I’ve recently been inspired to do something very special for just a small group of select people. But first, the back story… I’ve been blessed that over the last year or so there have been many wonderful things that have happened to me. I am now a contributor for The Huffington Post, I have been accepted into the National Speakers Bureau and I have been building multiple brands like DYPB ’14 – Discover Your Personal Brand Conference, Cool Connections, Humans of Canada – Official and have just released my new book – How To Network Anytime, Anywhere with Anyone. And after reflecting on what the #1 key element to making this all happen was… I realized it had everything to do with true and authentic networking. (Heck, that’s why I wrote a book on it). So here is where you might come in. 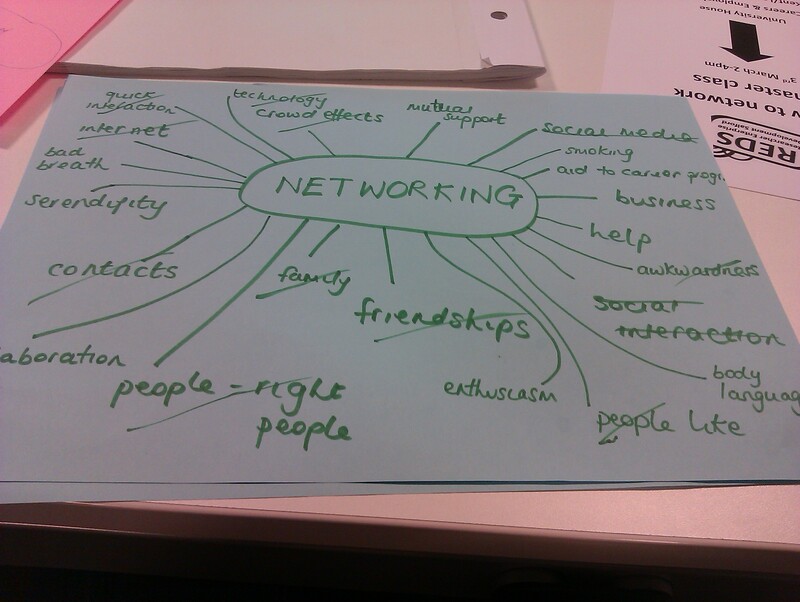 I have just put together a complete outline of EVERYTHING I have come to know and discover about true and authentic networking. And for the next 12 or so weeks, I am going to personally teach, consult and coach a small group of people and take them on a deep dive in this. It is going to be 100% hands on and by the end of it not only will you have everything you need to know about networking, but I will have worked personally with you to develop your own network, which will open up a world of opportunities for you. I have had so many people come to me recently and ask if I can help them with this, so I figured this would be the best way to personally invest in this small group of people and actually see transformational results. Interested? If so PM me here and we’ll set up a time for a quick chat where I can give you the specific details and see if we have a fit. I can only make this available to a handful of people (to make it the most effective and efficient to everyone involved) so if you’re interested PM me right away as it will be open on a first come, first served basis. Everyone Wants Legacy. Do You? Let’s start Sept 25! – Everyone wants to have a legacy. – Everyone wants to feel part of something bigger and better than themselves. It doesn’t come easy. You have to work at it. But one of the biggest challenges is that people do not know who they really are. They do not take the time to understand what drives them….deeply. They do not invest in their Personal Brand. Do you want to have more companies and clients calling to hire you? Are you one of the 76% of people who are dispassionate or unhappy with their jobs? Have you recently graduated or are about to graduate and want to get a head start on job hunting? Do you want to make greater Social Media impact with your online messaging & profile or your in person relationship building? Then you must invest in your Personal Brand. Join me for a deep dive workshop in Toronto to help you forge an authentic leadership path of passion and purpose. I will personally take you through my customized approach that has helped thousands of leaders. 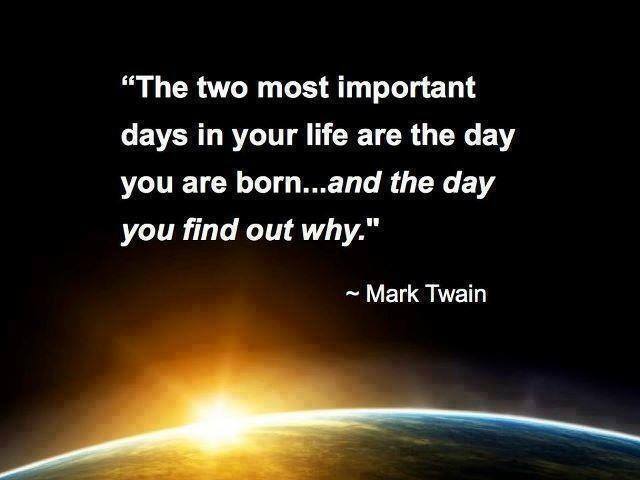 The best investment is you, the best time is now. If not you then who? If not now, then when? Thank you for reading this far, let me offer you a GIFT here — Use my discount code DYPBDeepDive20 to save 20%. Limited tickets available! Are you a Personal Brand explorer? You should be. Remember last summer? 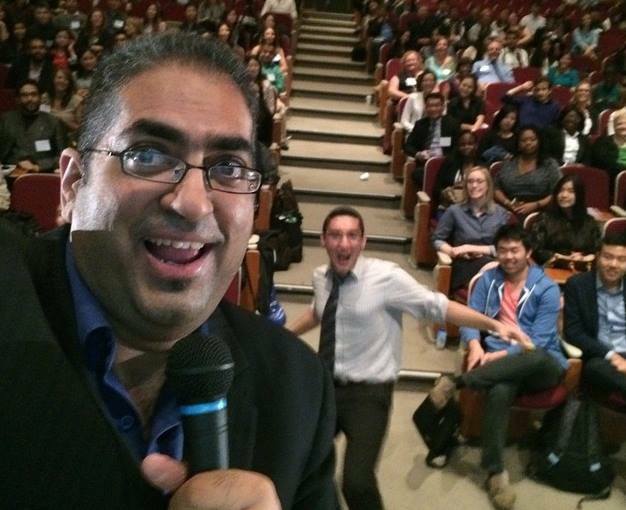 We had 120 of you squeeze into a room at University of Toronto campus on a hot August Monday night? You saw 6 panel experts talk about Personal Branding, including Ron Tite, Katia Millar and yours truly. The energy in the room was electric, the insights were vast and profound. Those who were lucky to attend told us “you guys should do something bigger next year”. This day is designed to cover every aspect of your Personal Brand so that you can truly forge an authentic leadership path of passion and purpose. Some of keynote speakers include Nathan Downer from CP24 and Alfredo Tan from Facebook Canada. Whether you joined us or not, we want to make sure each of you has a chance to benefit from this event. We are pleased to offer you a special discount of 40% off the ticket price. Simply input ‘BOBBYDYPBVIP’ in the eventbrite registration page. You can save even more if you go in a group (either 33% or 50% off). Register now! We want to make sure anyone who wants to go, can go. We believe in our Why: ‘ There are Lost Leaders Everywhere” — and we want to help serve you no matter where you are in life. We’ve all felt lost in our career, business or academic path. It’s okay to feel lost, but it’s not okay to do little about it. Let us know how we can help you get there. If you seriously have financial difficulties that is the only barrier, message me personally and I will make sure you can attend. I have always wanted to speak at TEDx Toronto. So every year I applied via their speaker application form. Why? Well there are many reasons. – I have a message, story, brand and voice that can impact a million hearts. – I have built a brand around TEDx having spoken at 4 other events. – TEDx Toronto, for most Canadians, is the biggest and best one in our country. It’s the ‘big show’. – Many of my colleagues have been able to use the event a platform to greatness in their career, speaking circuit and getting their message out there. One of my good friends Drew Dudley spoke several years back. He only spent 6 minutes speaking on Lollipop Leadership, but it was momentous. Eventually that talk made it to the TED.com site. Now he has 1.4 million hits and a successful speaking career travelling around the world. His example, like many others I have seen, inspires me. I have applied a few times and have had the honour of my friends nominating me. In fact those nominations, along with Drew’s talk was around the first time I was introduced to the power of TED talks. 3 times the charm? Not really, but hey I have always been one to embrace failure. At least I have been able to go to these events as a delegate and share my ideas and use my social media influence to promote and support the others. What have I relentlessly pursued? The same things I mentioned above. The new thing I have been pursuing these days is health and wellness with my new #FitInMyLife campaign. Because I do want to be fit in my life and health living needs to fit in my life. I also am relentless with creating deep authentic connection and helping the ‘lost leaders’ with my personal Why. But today, I want to say my main Relentless Pursuit is speaking at TEDxToronto. Part of that relentless pursuit has been speaking at 4 other TEDx events — TEDxUWO, TEDxLaurier (I hosted too), TEDxUTSC and TEDxRichmondHill. Another part of this relentless pursuit is asking for your help. I am currently working on getting myself nominated for the next TEDx Toronto event! I will apply again, like I did the past few years. I am excited to share talk ideas on a few ideas such as ‘The Pursuit of Balance”, “Searching for the Best Hug” and “Fighting the Parent Values Gap to not become the Values Trap” and many more. But this time I need your help. If my messages, talks, connection or work has ever inspired you, helped you, supported you, I would be honoured and grateful if you could consider nominating me via the link here. For everyone who isn’t familiar with my work — I am a 4 time TEDx speaker, author and contributor to the Huffington Post. My personal Why is “There are Lost Leaders Everywhere” and my Mission is to “Discover, Inspire and Develop Leadership in Gen X&Y. Much of my work is giving back, whether its through my Raeallan intern team, starting up Humans of Canada, or planning the large scale Discover Your Personal Brand conference on Aug 16. I do it because YOU are my Why, my Mission, my Vision. I thoroughly enjoy public speaking and motivating young people and hope to continue to do it for as long as I can. If you guys would like to help me continue my passion and serving others please nominate me here. The deadline is June 30, so I apologize for the short notice. Luckily the form is pretty short. Also, here are two of my past TEDx talk I have done to give you an idea what I am all about. What is interesting to see is how I have evolved as a speaker, even from 2011 to 2013. Thank for your time! As always, please let me know how I can help you. Because I can and I will.